Nowadays, every train on our main line railways is fitted with what is called 'continuous braking'. It is a system that allows the driver to apply brakes to the wheels of every vehicle in the train, making brake applications very smooth because every part of the train slows down at the same rate at the same time. However, for most of the 20th century this technology was only fitted to passenger vehicles. Goods trains were frequently 'loose coupled'. This meant that when the driver applied his brakes, the locomotive provided most of the braking force. 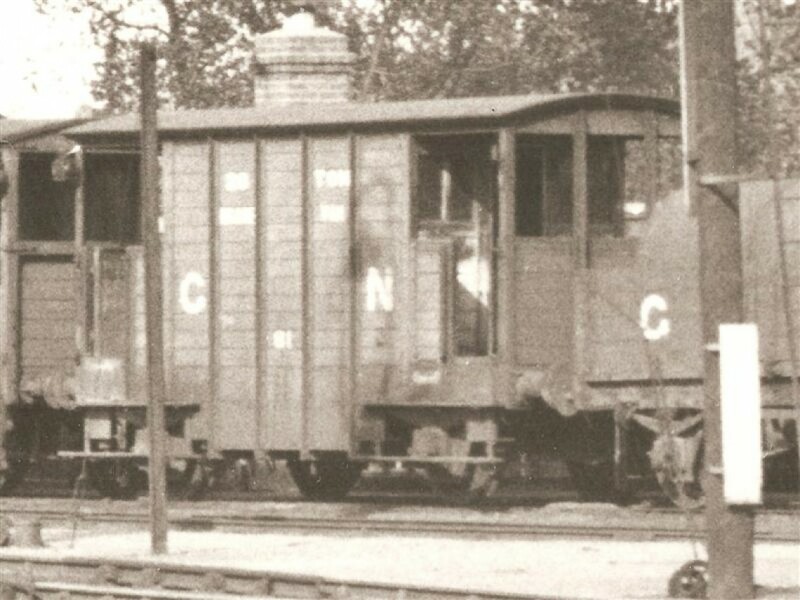 The wagons would continue at the same speed until they hit the wagon in front, causing a series of jolts that would run along the train, damaging the wagons and their contents. Rather than brake every vehicle in the train, the alternative was to put one braked vehicle at the back to balance the force created by the brakes on the engine. The brake van would have one man aboard, the guard, who knew where the downhill stretches of track were located. He would then wind on a powerful handbrake to provide enough force to keep the couplings tight and prevent the wagons from hitting one another. The van and the guard also had a safety purpose. Sometimes, a coupling would come undone and the train would 'break' into two parts. The guard would use his brake to bring the back half safely to a halt before walking back down the track to put warning signals on the track - such as red lamps and explosive detonators - which would warn the driver of the next train in time to prevent a collision. 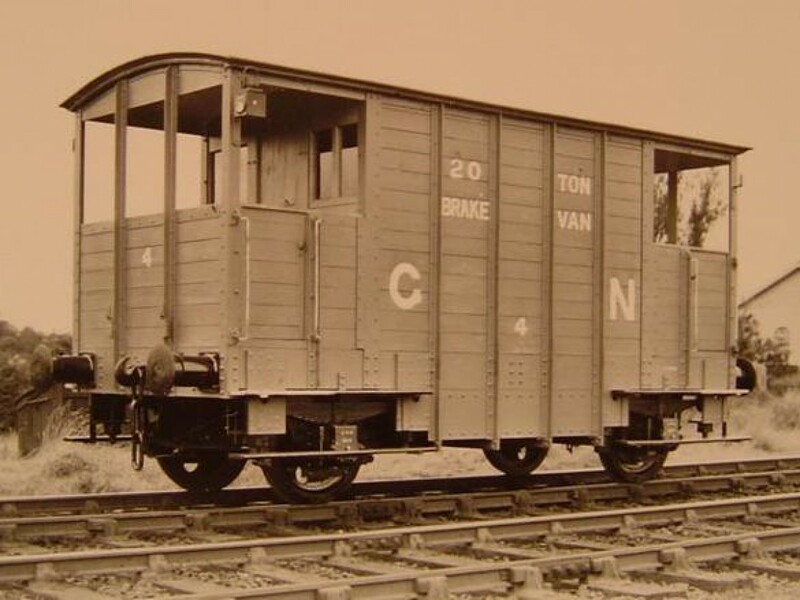 The Great Northern Railway (Ireland) was one railway which did not fit vacuum brakes to goods vehicles, so its brake vans were expected to stop a train using only their own brakes. 81 was one of many identical vehicles made in the late 1940s to a design typical of the time. 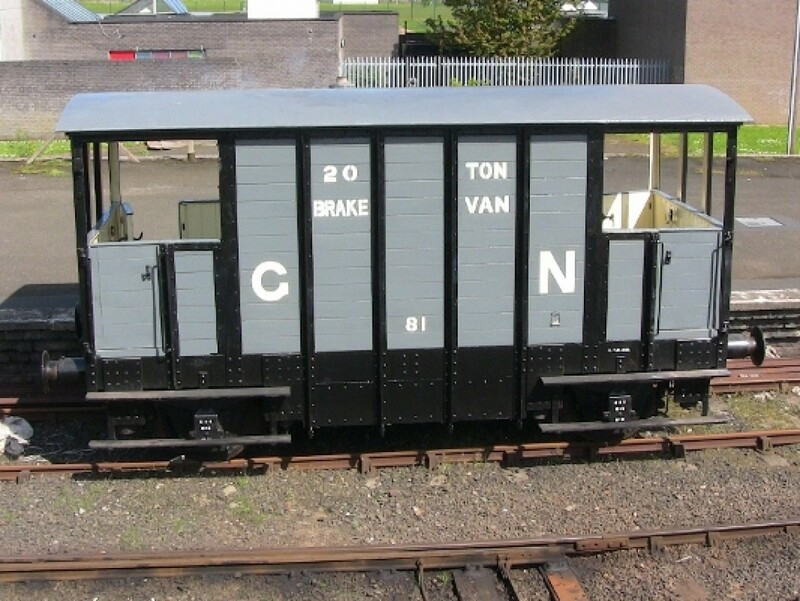 The van runs on four wheels, and its brakes are like any other railway vehicle, with large iron shoes pressing against the tyres of the wheels to create friction. To maximise the braking force, the van uses two shoes on each wheel. A large amount of friction between the wheel and the rail was also needed, so ballast was added to make the weight up to 20 imperial tons (approximately equal to 20 metric tonnes). This could be concrete or, as often happened, recycled iron such as worn-out locomotive parts. The vans had strong steel frames, to which wooden planks were bolted to create the upper bodywork. There was a 'verandah' at each end, covered by the roof but open at the sides and ends for good visibility. The centre of the van was a fully-enclosed room. Here the guard had a desk, some bench seats and a small stove for burning wood or coal to keep him warm in winter. An iron pillar in the middle of this room supported a large wheel at waist height, which operated the brakes on the van. While not luxurious, the van was at least warm and a shelter from wind and rain. The van at Whitehead is 81. Little is known of its early history, but it was built in December 1945. It was obtained by the RPSI in the 1980s and for a short time was used as part of our regular train rides within the limited confines of the RPSI site. The most significant change to the vehicle during this time was that it was fitted with a vacuum brake application valve for the first time. In 2006, the two ballast compartments were emptied (to lighten the van so it could be lifted by a crane, and so the condition of the tanks could be assessed). The ballast was found to be scrap iron, and contained many interesting items. There were some 150 coach brake blocks - strangely, some seem to be unworn - a length of rail, several wagon axleboxes, and some axlebox covers dated 1869. Most intriguingly of all, several connecting rod parts were unearthed - part of a steam engine's power transmission system. Altogether, we found two big end straps and three of what we take to be small ends. However, they are to a very old design indeed, already at least 50 years out of date when the van was built. Presumably the builders at Dundalk used scrap iron that was surplus to requirements to fill the van. The van was kept in an outdoor siding, where it should have been well protected from the weather by its wooden roof and sides. However, in 1996, a major fire was started deliberately at our Whitehead site, and 81 was one of several vehicles which caught fire. The Fire Service succeeded in putting out the blaze in time to save 81 from destruction, leaving it with severe damage to the wooden body at one end. However, the arsonists had succeeded in totally destroying several historic coaches, some of which had recently completed a lengthy and expensive overhaul. The van was not considered usable after that, and was usually only moved because it was in the way of something else. 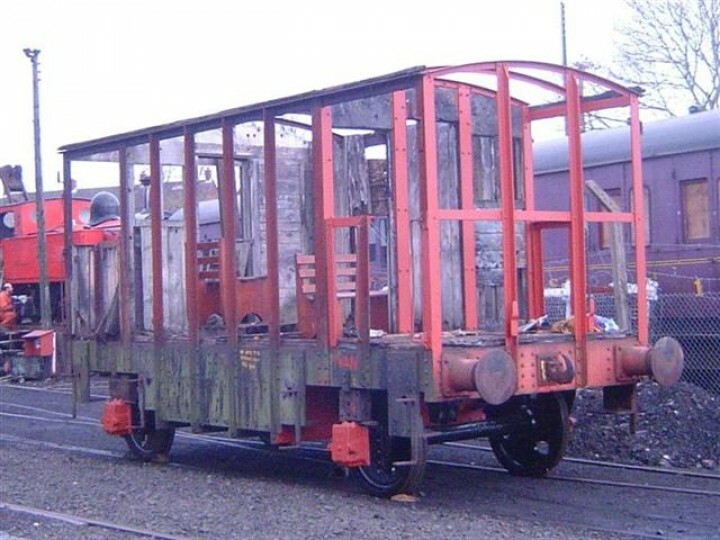 A shunting accident soon afterwards resulted in it being derailed at the back of the depot; at the time there were many other things for the volunteers to do and no immediate effort was made to return it to the rails. In 2006, a plan was hatched to begin restoration on one of the RPSI's unused and deteriorating freight vehicles. The intention was primarily to give the Society's younger volunteers a project of their own to concentrate their efforts on, thus teaching them useful skills and hopefully encouraging more youngsters to join. 81 was the first choice of vehicle. One reason was that it was easily the sorriest-looking piece of rolling stock on the site! Not only were the floor, sides and roof all about to collapse, but the strange angle at which it had derailed left it with only one wheel on the track. The project was therefore clearly a challenge, but one that, if faced, would make a significant difference to improving the state of our collection. The metal frame of the van appeared to be virtually intact, and the replacement of the wood appeared to be at least simple if not easy. 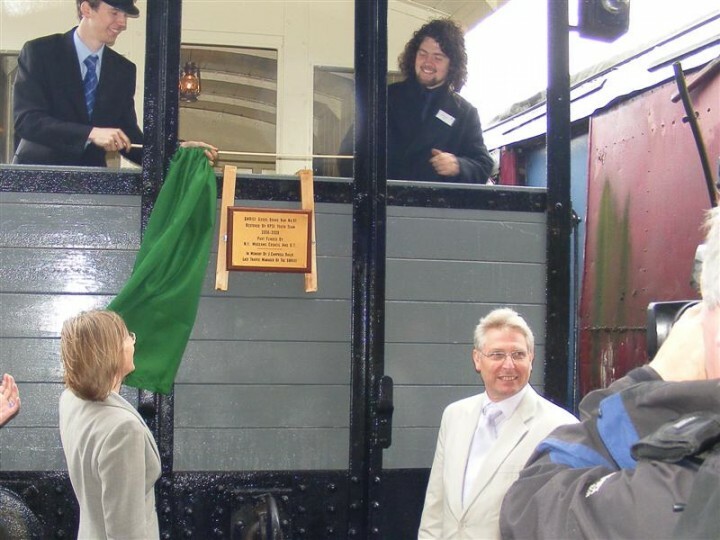 In practical terms, a use for the van was forseen in that it would allow the annual train rides to make use of our historic wooden-bodied coaches. Since the beginning of 2004, a total ban on these coaches was initiated on NIR for safety reasons, so short train rides remained their only possible use - however, we do not have a brake coach that is pointing in the needed direction. Restoring another vehicle is actually easier than arranging for the coach to be turned, because this would need a long run around the triangle at Belfast (this was before our depot got its own turntable in 2017), and would require the ban to be lifted first! In recent years we had used the 1960s Mark 2 coaches for the "Summer Steam" operations, but the idea of using some of the much older coaches was very attractive. The volunteers set to work with great gusto in the summer of 2006, and thanks to the Northern Ireland Museums Council and private donations, funding was secured that paid for complete refurbishment to running order. "IVAN", as 81 was affectionately known to the team of youthful people who restored it, was (almost!) finished in July 2008, and was launched by Catherine Mason, Group Chief executive of both Translink and the Northern Ireland Transport Holding Company. In January 2010 it was announced that the restoration of 81 had won a prestigious award. Back in 2008 IVAN was entered into the Heritage Railway Association's Carriage and Wagon competition, and has now won the wagon section of that award. The Judges were impressed with the quality of the restoration and the substantial use of young volunteers. 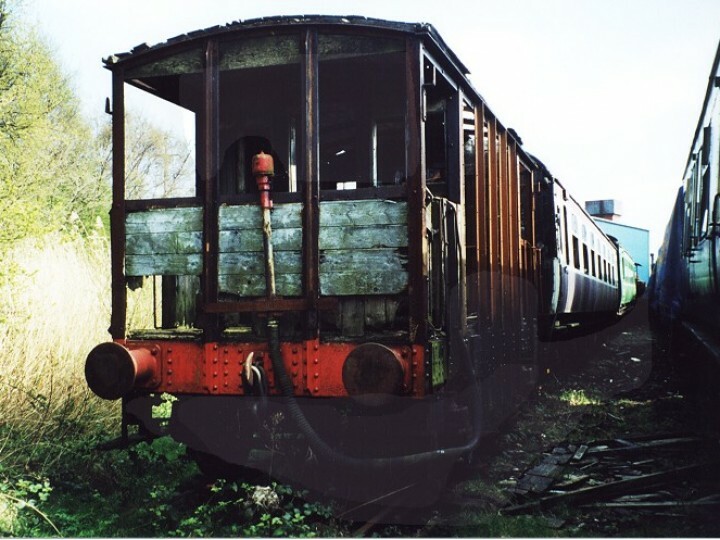 They also noted that this is one of the few survivors of traditional standard (Irish) gauge freight vehicles. 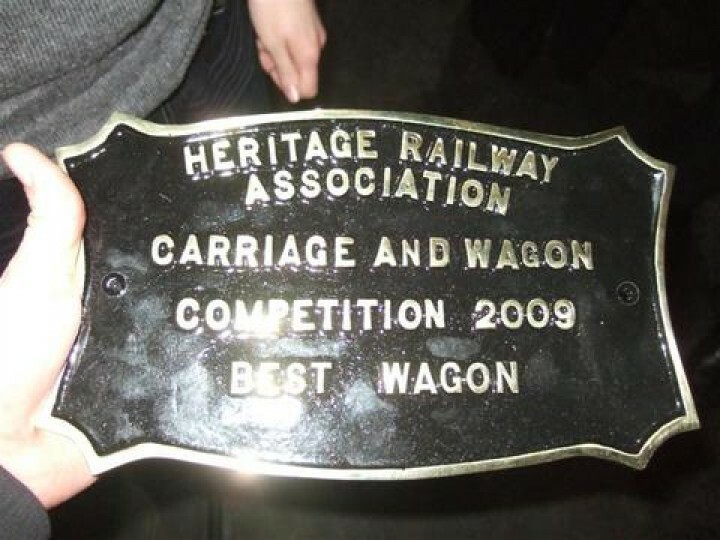 The award was presented to the team at the HRA AGM Dinner at the National Railway Museum, York on the evening of Saturday 6th February 2010.